After an exciting weekend at Mason High School, we have two CMAC Basketball teams still alive! Hughes took care of Aiken by a score of 65-46. The Big Red looked to be in synch as they delivered with a very balanced scoring attack. Four starters ended up in double digits and those four starters all grabbed at least seven rebounds as well. When Giovanni Santiago, Shawn Hawkins, DJ Brewton & AJ Smith are all producing at that level, it will be very difficult to beat Hughes. To cap things off at the end of each half, Shawn Hawkins had powerful dunks that excited the crowd, ultimately sending Hughes to the next round. Not to be lost in the mix was an incredible effort from the Aiken Falcons. Led by Freshman point guard, Jakada Stone, the Falcons hung in strong for most of the game. In addition, D'Arris Dean (JR) put up 12 points and had 4 steals. If this is any indication of the Falcons future in the CMAC and beyond, they should be extremely proud and very motivated for what the next few years hold. Hughes advances to play Carroll at Dayton Arena on Thursday, March 8 at 6:00 pm. Pre-sale tickets are available in the main office at Hughes High School. In the second game, Woodward took on Taft in a highly anticipated match-up between two CMAC powerhouses. Taft came in without their starting point-guard and all-conference defender, Demarco Bradley Jr. (JR), as he was dealing with a wrist injury. Woodward came into the game off of an incredible overtime win and memorable 42-point performance from big man, Terry Durham (SR). The game was tight the for all four quarters with Hakeem Thomas controlling the pace for Woodward. Durham struggled in his previous two match-ups with Taft, but on Saturday he stepped up big for the Bulldogs with a huge 30 point, 16 rebound game. Taft answered the call nearly every time Woodward made a run. The Senators were led by Dashawn Lawrence (SR) who made a number of huge plays as well as Chris'seon Stringer (JR), who ultimately fouled out with 19 points, 7 rebounds & 4 assists. In overtime, Woodward led by 3 with 15 seconds to play. After a ball reversal, Taft's Dashawn Lawrence was forced to throw up a deep three which he nailed to tie the contest. As time started running out, Hakeem Thomas pushed the floor and drew a foul. 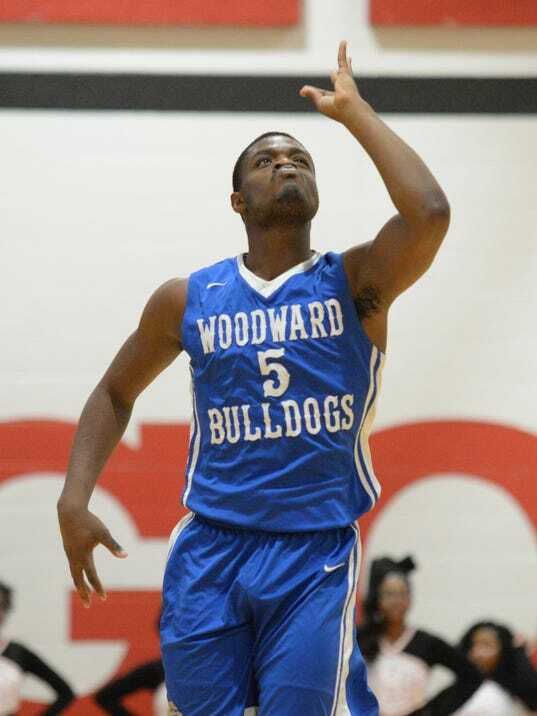 He made one free-throw, and that ended up deciding the game as Woodward won 58-57. Woodward advances to play the winner of Thurgood Marshall/Bishop Fenwick on Saturday at 3 pm at Hamilton High School.